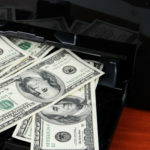 How much is Your Printer Costing You? As a business owner, you are always on the lookout for money saving solutions. Technology offers cost-effective options because it can be used to save money by implementing something new, instead of making cuts. A print server solution is one example of how upgrading your technology can save you money. Before you can justify the expense of buying new technology, you need to first know specifics when it comes to expenses. 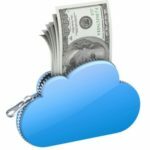 It’s important to know just how much money your old technology is costing you; this way, you can factor these savings into your budget and spend extra money on the business expenses you care about. 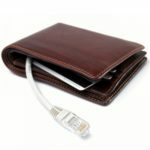 A print server is a great cost-effective solution because it will cost you less money to print. To illustrate, let’s break down the cost of printing per page in a standard printing operation. Here are four printer usage factors you can use to determine how much printing is costing you per page. How many pages are printed by each device? 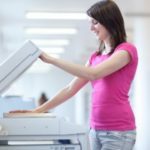 What is the color vs. black and white print ratio per printer? What type of toner is used, how much does it cost, and how often is it purchased? 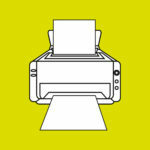 How many printers are in your office? Due to the fact that different businesses have different printing needs, it’s difficult to come up with an accurate estimate that will work for everybody. For example, a marketing company will use more color toner than an accounting firm; but we can get an accurate and current calculation thanks to a 2012 study by QualityLogic. Using the United States as an example, the cost of ink per page for a black and white print job costs as little as $0.023 with the HP 8600 inkjet printer, and as much as $0.095 with the HP F4580 inkjet printer. With such a big difference in price, you can see why it’s important to take a little extra time and shop for an economical printer, instead of buying the printer with the cheapest price tag, which will often end up costing you more in operating expenses. Using the same two printers to print color documents will cost you double the amount of ink per page. The HP 8600 will cost $0.104 per page, and the HP F4580 cost as much as $0.203 per page. 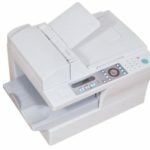 Printing photos from these same printers will set you back even more: $0.264 for the HP 8600, and $0.402 for the HP F4580, and if you are unfortunate enough to have a Lexmark S515, then you looking at $0.767 to print one photo. All of this means that you are basically cranking out small change with every print, which adds up quickly. There are several printing best practices you can implement to cut back on printing costs. You can use the grayscale settings, not print in color if you don’t have to, and make extra efforts to share a document with someone digitally instead of printing it off. Just by being aware of your printing and conditioning yourself to check the print settings menu before hitting “Print,” will save you much more money than if you mindlessly hit “Print” (by default, printers are set to print in high quality). A print server solution from Quikteks can automatically enforce these print settings with certain users, making it so that only the employees that will need to print in color will have the capability. A printer server will also give you the option so that every black and white page will automatically print in grayscale. If your business has multiple printers, then a print server solution can help you save money by consolidating the number of printers used. Before Quikteks installs a print server, we will evaluate your printing set up in order to make it more efficient. 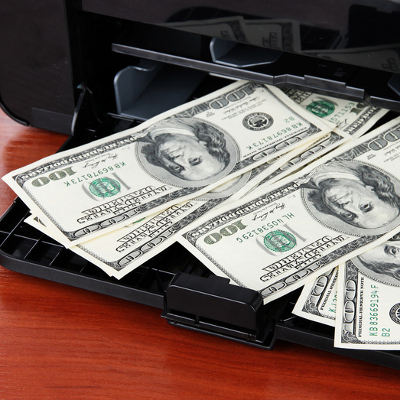 We do this by getting rid of the models that cost you more per page to print–like the infamous Lexmark S515. A print server will also be able to handle all of your printing network traffic, thus alleviating the amount of resources used by your main server. This will save you money because it will free up space on your server, and allow you to put off purchasing another powerful server unit.